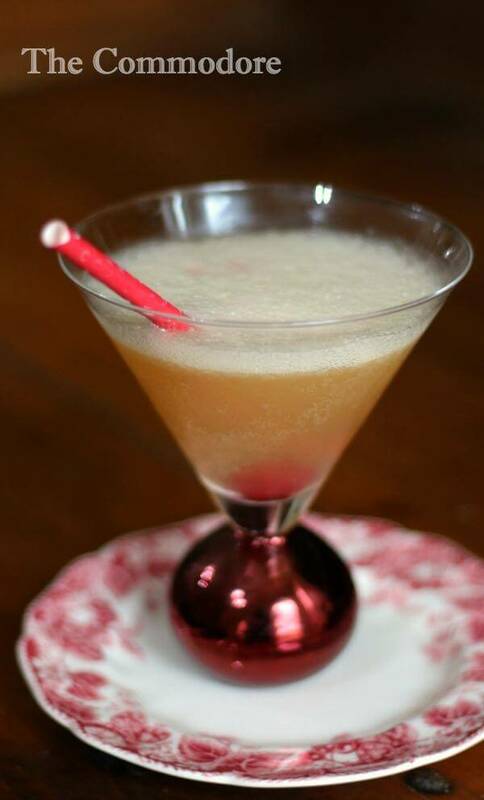 First mentioned in the 1935 Waldorf Astoria Bar Book, the Commodore Cocktail recipe is a simple yet elegant cocktail that Zelda Fitzgerald might have sipped while chatting with friends about F. Scott’s newest book. It personified the 1930s and you hardly ever hear someone order it or see it on a bar menu. One taste and you’ll be ready to repeal Prohibition yourself. This cocktail makes me think of beautiful women in elegant gowns, draped with jewelry, and chatting in a roomful of calla lilies. A small orchestra would be playing in the background and couples would move across the dance floor gracefully. The 1920s were a decade of innocent hedonism if there is such a thing (and if there’s not there should be). We think of it as being a time of decadence but compared to our society now it seems very innocent to me. I get that times change but I must be getting old because I miss the days of my childhood. I miss the simplicity of playing outside, having three channels to watch, and clipping playing cards to my bike tires with clothespins so that they would make a motor sound when I rode down hills. Kids don’t do those kinds of silly things anymore. We’ve forced them to become old before their times and I wonder if some of it isn’t that we refuse to grow up ourselves. We’ve somehow evolved past adulthood — and become Peter Pan wannabees playing video games and indulging ourselves with busy-ness because there are very few real adults left in the world and we know it. What was hedonistic, self-indulgent, and shocking in 1927 is now a G-rated movie compared to what is considered normal now. And I am just as guilty as anyone. I just don’t know how to fix it except to encourage y’all and myself to take back what we can of those simpler times. Comfort food, family mealtimes, and conversations around the table and baby steps but they are at least baby steps in the right direction. So, now that you have visited the dank, moody recesses of my mind let’s all shake it off and have a cocktail, shall we? Since there aren’t many ingredients in this you’ll want to make sure that you have a high quality bourbon — it will make all of the difference. It has a delicate sweetness from the creme de cacao but the lemon juice keeps it form being cloying. To keep it authentic you should shake it in a shaker with crushed ice and then double strain into a chilled martini glass, or the glass of your choice. That’s authentic. Personally I like to blend it with the ice in the blender until it’s frothy and slushy. Not authentic but super good. Did you know that most of the grenadine you get is nothing but corn syrup with flavoring and red dye added? Real grenadine is made from pomegranate and natural stuff. This grenadine is one of my favorites and is made with cane sugar, pomegranate, and natural stuff. You’ll be amazed at the difference. Here’s that Commodore Cocktail recipe! Shake and then double strain into a chilled glass. Garnish with a Maraschino cherry or lemon twist. You can also put all ingredients into a blender and blend until slushy. Now I’m craving a drink, a haircut, some Brill cream and a double breasted suit. LOL! Jerry, you crack me up. I love the sound of this Marye! And I love your description of who should be drinking it! I can just imagine the floaty gowns! 🙂 sigh… So elegant then. I hear you on the old days. I don’t really watch tv much so when I do and I ask the kids for help because I can’t figure out the two remotes, they get frustrated with me. I said to my son, it was so much easier when you just turned it on and did it manually. And he made some comment about how there weren’t any channels back then, etc, etc, and why would anyone want that? ME! Anyway, your cocktail looks wonderful! I’m looking forward to trying it! 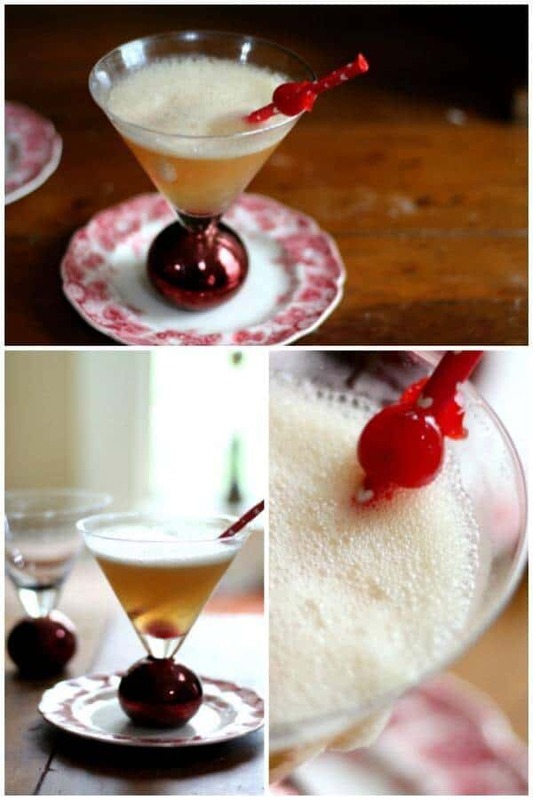 I need to get me some bourbon so I can make this!! Love finding new cocktail ideas. Those memories are always the best. This sounds delicious. I have just started to enjoy bourbon. 🙂 I really liked it. I agree. I think it would have been a cool era to have lived in. That sounds like a lovely cocktail Marye!